Synopsis: Sega has provided us with their recent title, Aliens vs Predator, developed by the same team behind the 1999 original, Rebellion. 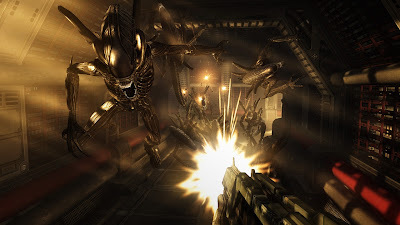 The newest resurrection of the of the classic once again brings the battle between Aliens, Predators, and Colonial Marines in the form of a first person shooter to fans of the movies, comics, and the shooter genre alike. Each race has its own single player campaign along with a number of multiplayer game modes. The storyline delivered in the single player campaigns interweaves paths between species, so that regardless to what species you choose to play as, the story takes place in the same location and timeframe just through the eyes of a different species. 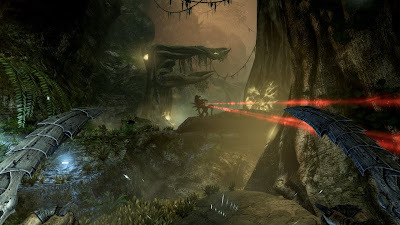 The story begins with the discovery of an ancient pyramid and amidst probing the pyramid of its secrets, the Predator race is alerted to prevent their secret from being uncovered, while the alien race fight for their survival as the fearless hunter, and the Colonial Marines struggle for survival in the middle of the civil war taking place. Praise: Variety is definitely one of the biggest strong suits in this title, followed up with fast paced, intense action, and rewarding multiplayer game modes. The diversity of how each race plays makes playing as any of the three individual races incredibly different and almost equally entertaining. In my opinion, I found playing as the Alien race the most rewarding both in single player and multiplayer game modes. The way the story of each race’s single player campaign intertwines is something I have not seen recently in other current generation titles and is one of the first things that stands out to me when thinking of the time spent with this game. 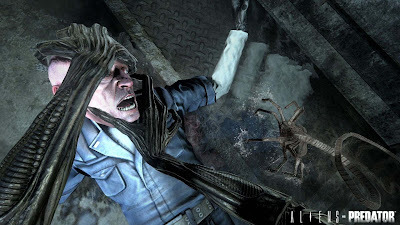 The multiplayer is the most entertaining feature to this title, while the single player campaigns are entertaining and works as a great tutorial for the multiplayer modes; the multiplayer is where I felt most of the replay value resided by pitting each race against each other in large maps, and providing a leveling system to unlock skins for each race. Gripes: As much as this game has to offer, unfortunately the single player campaigns come off rather short and stale. The gameplay is not bad by any means; it just doesn’t really stand out in the variety of first person shooters recently released. The marine single player mode is mediocrity at its best, as it is your typical shooter with the campaign lasting about five to six hours. While the Alien and Predator campaigns were a lot more entertaining, they were also significantly shorter than the bland marine campaign, only lasting about four to five hours. While the multiplayer is where I felt this title truly stands out, unfortunately, the matchmaking takes longer than other multiplayer games I have played and it seems like most of the community is playing species deathmatch. Lastly, if the host quits the match, it is game over and you are left to find another match without the XP earned before the host quit the match. 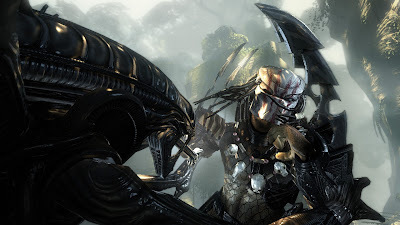 Overall, Aliens vs Predator does provide a lot of variety in the form of gameplay, story modes, and multiplayer. While not all of the modes may be to your liking there is still a lot to offer. It is also a pretty safe assumption to say that as a fan of the movies and comic books, you will most likely find this title enjoyable. While typical FPS fans may not find this title as fulfilling because the only part of this title that plays like a typical FPS is the Colonial Marines. Mashbuttons.com gives Aliens vs Predator a 7 out of 10. 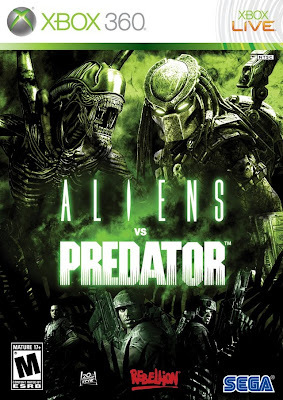 Aliens vs Predator is available now for the Xbox 360, PC, and PlayStation 3.